Home / Blog / What is CDN (Content Delivery Network )? Why is important for website blog? What is CDN (Content Delivery Network )? Why is important for website blog? 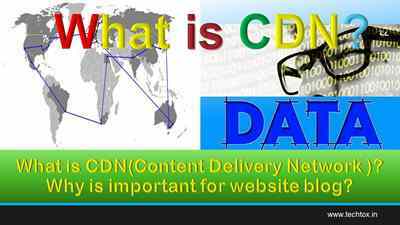 1) CDN [Content Delivery Network ]क्या है ? 2) Why CDN is important and why we need it? 4) What is the benefit of using your CDN on your website? Hosting Server एक ही location से साइट को होस्ट करता है लकिन Content Delivery Network ( CDN )Network के geographical location पर डाटा सर्वर होती है। जिससे आपकी साइट फ़ास्ट ओपन होती है। दूसरा difference location पर डाटा server होने की wajah से आपकी साइट पर ज्यादा traffic control hoga . ➽How To free submit URL to all search engines Google Bing and Yahoo in Your Blog? ➽ How To Link AadharNumber In Your Mobile Number VIA I.V.R? ➽What is the Deep Web?